worldwidemoving.co.uk is the UK’s largest international removal-site with advice on intercontinental removals. Over 100,000 people have been relocated all over the world through our independent removal platform. 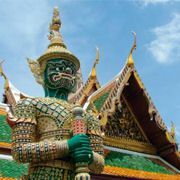 We offer a free quote service, a quote reading form and useful tips to make an informed decision on the right intercontinental mover for your forthcoming removal to Thailand. Contact a few specialists and ask them for quotation requests so that you can compare prices. Click here and receive various quotations for removals to Thailand.